If I'm not a DJ, can I subscribe anyways? No, you cannot. Promo Only is not for sale to the general public. You MUST be a DJ, a radio station, or playing music to the public in some way. The only exception if you are a business owner buying it for your DJ to use. POOL is our digital delivery program. It is an alternative to getting discs by mail. The POOL Player is used to download your music and music videos, much like iTunes. It is a secure, fast and cost effective method of digitally delivering music and music videos to radio, reviewers, media, music supervisors, industry VIPs or internal staff. The system provides ease of use while maintaining a high level of security. Registered industry professionals are able to receive promotional or pre-released singles, music videos or albums directly from the content owner as broadcast-quality digital audio files. We alert you by email whenever a new release is available for download and provide you with a free download manager that allows us to deliver content directly to your hard drive. Nothing could be easier or more convenient. Will POOL integrate with my DJ software? Absolutely. Our download manager, the POOL Player, gives you the flexibility to sync to iTunes or to point our files to any folder on your desktop or external hard drive and to play our files on any software that supports full CD-quality audio (M4A), 320 MP3, and MPEG4 (video) files. Are the files mine to keep? Yes. POOL is a download service, not a streaming service; our files will not vanish even when you're no longer a customer. Please keep in mind, if you violate our terms of service, we reserve the right to remove the files permanently. How is POOL different than your CD or DVD service? With hard media service we're limited to the number of songs or music videos we could fit on a CD or DVD; plus, it takes time to manufacture the discs and ship them. With POOL, our options are limitless -- you will get more music much quicker, literally at the same time the radio stations get them. Can I switch from my Current CD or DVD subscription? Yes. Call our customer service reps and we can easily switch you to POOL, and usually offer you a digital discount, too. I hear your files are watermarked. What's that all about? To protect you and the artists we service we encrypt each DRM-free file with each subscriber's unique ID number. This allows you to show that you are using legally licensed content and also allows us to actively monitor illegal P2P sites, Craigslist and eBay for those who would profit from piracy; and to report those individuals to the RIAA. We invite you to THINK before you file share. Will the watermark on the files be compatible with my DJ system? Our watermarks will in NO way affect performance; nor are our files DRM-protected. We've designed POOL to give you the best of both worlds -- files you can easily back up, watermarked to provide instant verification that you are playing legal content. What happens if something happens to both my hard drive and backup hard drive? 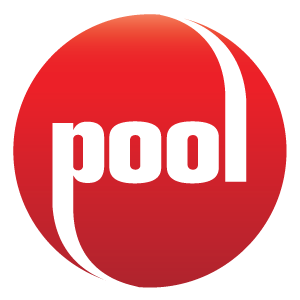 POOL is a Cloud-Based system. While, your tracks will always be available, you are only allowed to download each song once, so if you did lose the files, give us a shout and we will sort it all out for you. I work with/employ a few DJs. Can my company get one subscription and share your files? No. The promotional licensing that makes POOL possible prohibits file sharing of any kind. Each DJ will need his or her own subscription.